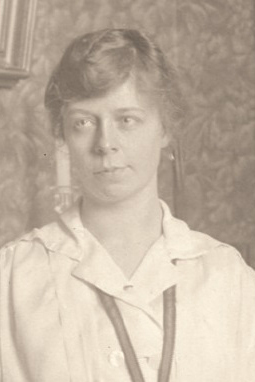 Isabel Gladwin (Newton) Barton (1891–1975) was one of the founders of the National Society for the Promotion of Occupational Therapy (later AOTA) and served as its first Secretary. She served as Secretary for fellow founder George Edward Barton, whom she married in 1918. As Barton’s widow and only survivor of the founders, she attended the 50th year celebration in 1967, during which a plaque was placed on Consolation House in New York, where she and Barton had lived. Read more about Barton here.